Today I feel so lucky to be a part of the blog tour for Lucie Summer’s new book, Quilt Improv: Incredible Quilts from Everyday Inspiration. This book is full of gorgeous color and inspiring photos. If you like the look of the modern, improvisational style of quilting, but need a little help getting started, this book is for you. In the beginning of the book Lucie introduces and teaches 12 different styles of improvisational piecing. A couple of my favorites include the Basket Weave and Chevrons and I love this variation on the chevron technique. Then Lucie provides a beautiful variety of quilt designs using the different methods she introduces. I guarantee this book will inspire to to pull out your scraps and use them to create something new and beautiful. I couldn’t resist pulling out some of my own scraps and trying Lucie’s Chevron technique. I really liked the method she used because there was so little fabric waste compared to other methods that create similar designs. (I even pulled out some of my carefully hoarded Summersville scraps to play with.) I can’t wait to play more. to give away to one of you! If you would like the chance to win, just leave a comment on this blog post. If you want to, share your feelings about improvisational quilting – are you an experienced improv-er? Or is it something new and out of your comfort zone? I love improv quilting, because the quilts I love most have something unexpected. I love to be surprised, and although I don’t always add this element to my projects, I wish I could. Thanks!! I’d love this book. Also, check out the other reviews (and opportunities to win a copy of Quilt Improv) at other stops on the book tour going through the rest of the month. To see the other stops on the Quilt Improv blog tour over the next month visit Stitch Craft Create. Enjoy and good luck! There&#39;s an incredible range of improv blocks here – I love the 7th block in particular <br />Here&#39;s to more free form blocks ….. I used to do a little improv when I was in quilting bees, but I have no done either for a long time. A shame as I enjoy it and would love the inspiration to do some more. That book looks amazing – like you I particularly love the chevrons. I have dabbled in improvisation, but somehow never been happy with the result. Maybe this book might change that? This book looks great. I like more modern looking improv quilts and have experimented on my own but am yet to successfully improv anything! I definitely need help in that area! The improv technique is definitely out of my comfort zone……I&#39;m trying something now and don&#39;t know if I should do more or give it up and stick with more structured patterns. This book might give me the guidance I need. I really like all these unusual quilts. It&#39;s like anything goes! Thanks for the chance to win the book. I would love to learn her chevron technique that doesn&#39;t waste so much fabric. This book looks so interesting! I have made slab blocks and string blocks, but not enough for my own project. I need to do some using up of my scraps – they are getting out of control! Looks like a great book. I love improv and have done a few for swaps and bees, but I have trouble letting go and letting it happen and not be a pattern. Guess I need more practice. Improv quilting always feels like play. I would like to find the confidence to do it more. just like sophie above…i wish i had more confidence!!! i absolutely love to play and will do it with scraps… but there are times i am overwhelmed with larger pieces or fabric collections, for fear of making a mistake. i far prefer improv to technical piecing. I have only done the most basic of improv sewing — wonky log cabins. I have had a lot of fun with them. I think this book could move me into some more adventurous improv piecing. Thanks for the chance to win! The colours in the pictures really catch my eye. I&#39;d love to try out some new ideas and techniques. The book sure looks great. I could sure use it as I need all the help I can get. Improv puts me way out of my comfort zone. It&#39;s hard to teach an old dog new tricks – I&#39;m the old dog! Thanks for a chance to win and therefore, learn something new and exciting! I would love to win this book and give improvisational piecing a go – I think i would love it. I hate cutting fabric to size!! I love seeing her beautiful quilts! I&#39;ve never done improv quilting and would love to explore it! Those are beautiful quilts and blocks! I would love to win the book! I would love to win a copy of this book, because I need to improve my improvisational skills.<br />Thanks for the giveaway! I&#39;ve never tried improv piecing but it looks fun. thanks for the inspiration! This is way outside my comfort zone – I usually buy fabric for specific projects but I have some scraps I need some inspiration to use! The book looks so inspirational – thanks for the great giveaway! I have quite a few scraps that need to be used up, and this book seems like just the ticket! I generally do not do improv sewing/piecing, but am certainly interested in trying it! Thanks for the opportunity. I have a whole bucket of blue scraps that I need to do this with.. Would make a great baby boy quilt! Would LOVE to learn this to use up my tons of scraps that I can&#39;t bear to part with! Thanks for the chance to win! I really enjoy improvisational quilting and plan to do more of it in 2014. This is such a great book! I bought it for my bee gift exchange and had a hard time letting it go. Totally out of my comfort zone, but I love the look of it and want to give it a try. Improv is not part of my current mode of sewing but I think this book will make me a convert! I&#39;ve made one improvisational quilt – using rectangles. It was easy technically, but very hard not to over- think all my colors and sizes. I&#39;d like to try more — this book looks wonderful &amp; I&#39;m definitely going to pick up a copy. I&#39;ve never made an improv quilt ~ yet! It&#39;s definitely going on my bucket list 🙂 Thanks for the chance ~ fingers crossed!! I haven&#39;t done much improv quilting, but I&#39;d love to try. I love the look….but I&#39;m hesitant to work without a pattern. So a book like this would be great! Striving to become more of an improv-er. Ohhhh! Such quilt eye candy would love to learn improv! What a wonderful looking book! I really like improve piecing. Nothing too wonky though! This book looks great. I love Lucie&#39;s fabrics and this book is on my wish list as I want to try improv piecing. Love the improv blocks put together with sashing. Looks like a bright and colorful day outside a window – we need that right now! I don&#39;t struggle with improv. I struggle more with regular piecing as I have tried everything to get a consistent 1/4 inch seam and nothing works. With improv, I don&#39;t have to worry about it. I love the improvisational style, and I&#39;d love to win this book. I love the 12 different style improv blocks in this book. Thank you for the chance to win. These blocks look like so much fun! I haven&#39;t done much improv yet (probably because I don&#39;t have a ton of scraps to work with). Ooh! These are gorgeous. I&#39;m sort of an improv quilter already but I haven&#39;t really thrown myself into it with a purpose. I think it would be cool to try. Great quilt blocks! I&#39;ve always used a pattern until a few months ago when I made a wonky star block and an improv log cabin block for do. good stitches. I loved both, so I&#39;m sure this book would give me some guidelines to continue with improv – or is guidelines and improv an oxymoron? I love her fabrics and have this book on my wish list! I haven&#39;t been brave enough to try improv yet but what a beautiful inspiration! I love the &#39;make it up as you go&#39; within limits. It reminds me of the &quot;use it up&quot; and &quot;waste not&quot; era of quilting. My last challenge to myself was a string block with colors I don&#39;t ordinarily use/like. Love the quilts shown from the book! SO love improv! Need to do it more often! Sounds like a great book, very inspiring!! I would definitely like to do more improv quilting! Have done a little bit, but it&#39;s still outside my &quot;zone.&quot; Thanks for a chance to win this book! Thanks for the giveaway, I could definitely use some more information about improv. piecing. I love improv- and some of those designs are very inspiring! Looks like a wonderful book. I like the idea of techniques that let you do your own thing rather than a specific pattern. Sounds very interesting. Sort of what my grandmother would have called a &quot;crazy&quot; quilt. I have never done one, but it sounds like it might be more my sort of thing. I am just learning to quilt and have issues with blocks not coming out quite the right size. But I don&#39;t worry too much about it right now. After I get a couple under my belt, then I&#39;ll worry about it. That book looks perfect for me! I made a chevron scrap last year. It was really fun. This seems like a great book. i am a huge fan of improv work and the more modern quilts. I have only pieced one improv quilt together and I would love to try another. I&#39;m new to the world of improv but would love to get my hands on this book and learn! What a great idea. I&#39;ve only played a little with improv blocks in my bee, but I&#39;d love to learn more and get comfortable with my own projects. Thanks for the chance to win such a fun book! I have tried it a couple times but never hit a groove. It has always looked muddled. Not happy like yours does! I like the idea of using scraps up so I&#39;m always looking for some inspiration. Thanks for the chance at a copy! I love improv quilting, because the quilts I love most have something unexpected. I love to be surprised, and although I don&#39;t always add this element to my projects, I wish I could. Thanks!! I&#39;d love this book. Thank you for introducing me to this book – it looks amazing and I can&#39;t wait to get a copy! I just love Lucie&#39;s fabric designs and am excited to see that she has a book as well. I&#39;ve never done improve quilting. Looks like fun! Looks like a great book. I have done some improv but would love to do more. This book looks very interesting – may help me get up the nerve to try some improve! I don&#39;t know if this is open to International peoples, like from Canada, eh? I would gladly pay for the shipping for this lovely book. Yes Improv is so out of my comfort zone, but I do like the look of it. So it would be nice to be introduced (and tempted) to do some. Thank You. Improv Quilting is definitely new and out of my comfort zone. This book would be a real treat to stretch my capabilities.Thank you for the chance to win! I tend to overthink things too much. My word for the year is DARE. As in dare to get out of my comfort zone and try something new. This book might be just the one I need to get me started on improv quilting! This past year I joined my first on-line bee, ModQImprov Canada. So far, I&#39;m really enjoying improv piecing. When I&#39;m doing it, I feel like I&#39;m really creating something! Thanks for the opportunity to win what looks like an inspiring book. The improv chevrons look like lots of fun! I am definitely more into improvisational quilting because I feel like it&#39;s less formal and it&#39;s ok if it&#39;s not perfect. Thanks for the review! I am not experienced at improv, but I&#39;d love to do it more often. One of my New Year&#39;s goals is to make more of my own things and rely less on patterns. It is totally new and out of my comfort zone. I am usually &#39;planned and precise&#39; but I need to learn to let my hair down. What a great book! I&#39;ve been wanting to loosen up my quilting a bit and improvisational quilting would be a great way to get started. Thanks for sharing your thoughts and some of the images from the book, Amy. I&#39;ve never done anything improv and not even a lot of quilt making. Would be fun to try something a little more relaxed! I&#39;ve never heard of improv quilting, but it sounds so fun! I haven&#39;t actually strated my quilt yet but while my bank acct. builds up I am gathering as much info as possible. Improv is way out of my comfort zone, but it is something that I want to tackle this year. Thanks for the opportunity! There&#39;s nothing I like better than taking scrapes and sewing them together. I&#39;d be really excited to see some ideas of what to do after I get the pieces all together. I have several queen sized scrap quilts that I would love to cut up and make into somethings gorgeous. &#39;Cause they are just too, too much as they are right now. Thanks. oh wow, that looks great! i&#39;m a big-time planner &amp; cutter, but i&#39;d love to branch out into improv piecing. i hoard scraps, but so far haven&#39;t really used them much (for shame!). fingers crossed &amp; thanks for the chance. I love improv piecing. I definitely need to do more!!! I love string quilts! =) Thanks for the giveaway! or a girl with experience in theater, the word &quot;improve&quot; simultaneously evokes feelings of terror and shear excitement. When I sit down to create something without a pattern, direction, or even an idea of how it will turn out, I feel like I&#39;m truly living on the wild side. <br /><br />I can&#39;t wait to open up Lucie&#39;s new book and broaden my improvisational horizons! I have tried improv before, actually in a Denyse Schmidt class, but it is still way outside my box. I want to be challenged more… Thanks for the review. I have never tried improv quilting but would love to and this book sounds like it would be a great book to use to learn more. I am dying to try improv quilting–would love to win this book! I have never done improv quilting but it looks like something I would love. I love how each of those different techniques look! This is definitely out of my comfort zone but I would love to give it a try. I loved the chevron look! Just what I would love as I have just started Patchwork &amp; Quilting. The new techniques of improv look really neat. I&#39;ve been trying to play with my scraps in different ways. Thanks for the chance to win the book and improve my improv with scraps. Have a great day. So many inspirational quilts. I can&#39;t wait to flip through this book! I have to work at being spontaneous, but I&#39;m trying! I love the idea of the improv blocks – this book would be a great help! I like &quot;controlled&quot; improv, like the chevrons you show. I&#39;d also like to try some really &quot;crazy&quot; improv some time, since I really like the look of that. It would mean to step out of my comfort zone, though. That book looks terrific! I&#39;ve done a bit of improv piecing but not a whole quilt …just a few blocks. Improv is new to me! I would be happy to try it!!! Improv seems so much less stressful! I love it. I would love to win this book? I really like the improv look, but I feel like my blocks look like I just messed up instead. I am just wanting to start improv quilting. This book looks like a winner! I&#39;ve dabbled in improv, but definitely could use some additional practice. I need to learn to &quot;let go&quot; and allow myself to enjoy it! My daughter is trying to get me to try improv on a quilt for her. This book is the inspiration I need! Im new at quilting but I love thr freedom this book seems to offer! For a beginner quilter patterns and fancy blocks can seem challenging and there is a fear of messing up the pattern with the wrong color piece in the wrong place! This book looks creative and eliminates some if the fear but still allows for challenge! I would love to know more!! I made a slab with little apples scraps one time! It was very fun but I would like to know more! I&#39;ve been wanting to try an improve quilt. I&#39;m just not sure if I can resist the urge to go against the technique! I love the chevrons and the string blocks. I too hate the methods with waste. I&#39;ll have to be on the lookout for this book at my lqs. I would love to make an improve quilt but it seems overwhelming…I think some tips would help inspire me to give it a try! I&#39;d love to try some improv. techniques. It looks like a great book, thanks for the giveaway! I haven&#39;t ever tried improv quilting… it seems so scary and yet exciting at the same time!! Improv piecing is my ultimate favorite! It is just so freeing and less stressful than having all points and corners meet perfectly and so on. It&#39;s just so fun to create as you go. I love all the possibilities. That being said I have lots to learn especially about scale and value, etc. I absolutely would love a copy of Quilt Improv!!! Improv piecing is totally out of my comfort zone, but I can&#39;t wait to give it a try! The book looks wonderful! Thanks for the awesome giveaway! this books looks amazing! i would love to use it to get started. I love the chevon block. I am new to this, but looks amazing! Thanks for the chance to win. I&#39;ve admired Lu summers&#39; work for a bit now and her book is on my wish list! It looks so neat. Those look like some amazing blocks and quilts. I&#39;m new to improv, but have loved it when I&#39;ve tried it. Thanks for the chance. I would love to try out some of those beauitiful blocks. Hope I get the chance to! This book looks like fun. I have never made an improv quilt, but I want to try new quilting techniques this year. Your cheverons are so pretty! I have not yet built up enough courage to try Improv, but with Lucy&#39;s book to guide me I know I can create some wonderful pieces. Thank you! These are Exciting ideas as a new quilter I&#39;m very inspired! I love the style and the way that I buy fabric is very &quot;improv&quot; so I should probably quilt that way too! Hi Amy!<br />Please, please pick me to win this book! 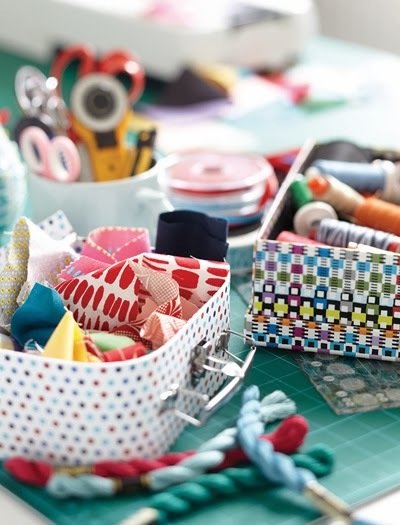 I am dying to try out improv piecing with my huge stash of scraps! !<br />Thanks! I have never tried improv quilting. I have a couple of friends that say its wonderful. However, I have plenty of scraps to try it out. Thanks for the giveaway. I&#39;m determined to do some quilting this year, so I&#39;m addicted to looking at quilting books and websites. This book looks gorgeous. Neat – this looks really fun. I&#39;ve only done a small amount of improv quilting, but I&#39;d love to do more with my scrap pile! I would love to try this. I love modern quilting! I love the look of the improv blocks…and so many to choose from. Thanks for being a port of this blog book hop . Every time I try an improv technique or do a small project, I am thinking to myself how much I enjoy it. I need to do more! I&#39;ve only tried improv quilting a few time, but I would love to expand and try more. I love the look of it! I love the look of improv blocks, but they are soooo out of my comfort zone! Maybe something I should try, but I&#39;m not quite brave enough yet. I haven&#39;t done ANY improvisational piecing, and I don&#39;t have any books on this topic so I&#39;d love to see this one. I&#39;ll keep an eye out for it at the book store. Thanks for the review! Love the improv quilt idea. I have done a couple of string quilts and have done improv with wool. I really like the last quilt…large log cabin with smaller log cabins. Thanks for the chance to receive this great book. Would LOVE to win this book! Definitely on my list of books to buy. I&#39;ve only done a little improv. piecing. It&#39;s all very new and scary to me! I really love those blocks — very inspired to use up my big box of scraps!! Thank you! I&#39;ve had very little experience with improv quilting. This book would definitely get me going! Would love to win a copy!! Looks like a FUN book and I&#39;ve got lots of scraps to clear out! Thanks! I have dipped a toe into improv before, though only my littlest toe so far ;-). I am determined to try improv properly soon! This book looks like fun. I am not familiar with improv so would love to know more about it! Thanks for the chance to win! As a new quilter I haven&#39;t tried Improv yet. I love the look though. Thanks for the opportunity to win this book it looks like such fun. I love to do improve piecing although I&#39;ve only tried a few styles. If I win the book, I&#39;d learn how to do some different types of improv! I am still very inexperienced w/quilting, my first quilt was improv and my 2nd was from a pattern. I really enjoy the improv and the freedom to be creative that it gives you. I haven&#39;t tried this style either, but sure will enjoy reading about it. If I don&#39;t win this book, I will be ordering it for sure! Looks like some beautiful quilting! With a whole tub full of beautiful scraps I am always looking for something to do with them. This would be a great start. Exciting. With a tub full of scraps, I am always looking for a way to use them. This would be a great start! Exciting. Totally out of my comfort zone with improvising. I&#39;ve only done 9 crazy quilt blocks as an &quot;experiment&quot;. But I&#39;d love to try my hand at this. What a lovely book! I&#39;d love to try more than the liberated strings and modern blocks I&#39;ve done so far. I&#39;m always looking for more to learn and even more to share! I enjoy doing improv, but I haven&#39;t done it enough. A nudge or push would be good! I love the look of improv and I have it on my goals list. Great designs. Liberating and inspiring. My first foray into quilting was an improv class with Denise Schmidt. I was hooked! Congrats on a great book. I have dabbled in improv. Not sure why I&#39;m so scared to do more–I know you can&#39;t really make mistakes doing improv. I&#39;ve only been a quilting addict since the summer – hoping to learn about improv quilting because I&#39;m a very improv type of person! Sounds like it would be perfect for me. I love all these modern and improve quilts – but when I try to take an idea I&#39;ve seen on a blog – I get stumped and can&#39;t start or just &quot;wing it&quot; Would love to see/try the ideas you have given a sneak peak of in this blog post! Thanks for a chance of being a winner! Oh, intrigued by these quilts. I would love this book! Oh, I would love to get my hands on that book! I&#39;ve done a little improv. Love it! I would love to dip into my scraps and try these blocks. I&#39;m new to quilting, and this book looks like just what I need! I haven&#39;t done much improv piecing, but really want to do more this year. Actually, last year was so busy I didn&#39;t do much piecing at all! Beautiful book and beautiful quilts. I would love to win a copy! i love improv quilting , sometimes it is all i have time for, and it fills the need to sew something! I would love to try more improv quilting…to learn more how to work with whatever I have than have to go more more fabric! That chevron technique sounds interesting. I am new at improv, My sewing skills are being tested right now and when I do improv I relax and the vision become more acute to me. I would LOVE to win this book. I&#39;m pretty new to quilting and so far have only done super easy baby quilts. I love it though and would love a new challenge! Thanks for the opportunity! Looks like fun! Modern take on the crazy quilt? I need to learn how to do this improv, I like order and have a really hard time &quot;mixing it up&quot; I think this book could teach me to go on the &quot;wild&quot; side. I tend to be a by-the-rules person, but have jumped on the improv wagon! The book looks inspiring! I would love to learn improv quilting. This looks like a great book to help me learn! I&#39;m totally new to your blog and especially to quilting so I&#39;m getting all the info I can. This book would be amazing!! This would be outside my comfort zone, but it looks so fun! I would love to win! This looks fun! It looks like it would be a lot of fun, it&#39;s always nice to try something new. Thanks for the chance! Improv is definitely my style – funny how it reflects much of the rest of my life! I think this book looks really fun! and I hate, hate, hate waste! Many thanks! Improv is way out of my comfort zone, but the pictures here from this exciting book make we want to try, push, take a chance. I would love to win it! Now I want to do some chevrons!!! I am new to improv quilting and it is decidedly out of my comfort zone but intriguing. I would love to try it. I have done a little improve but want to learn more. I have learned some from Gwen Marston&#39;s books and would love to add this book to my library. I would love to try improve, it is definitely out on my comfort zone. I love the bright colors. The fact you can create beauty from the scraps is appealing..I have a lot of scraps. I have not done any improve but would be willing to try it. Cute stuff and so nice looking. I have never done improvisational quilting but these images are so inspiring! Would love to win a copy of the book! Thanks so much! I haven&#39;t done any improvisational piecing yet, but it seems like a great way to use up scraps quickly! Lucie&#39;s book looks lovely. Thanks for giving us an opportunity to win a copy! This book looks beautiful. I can see myself inspired instantly. Thanks for the chance. <br />Shari M.
I turned 60 on Thanksgiving Day. My parents gave me a sewing machine – whoopee! Now that&#39;s it&#39;s January I&#39;ve made a space to set it up and get started. I used your tutorial on how to choose fabrics and to cut the pieces. I&#39;m super excited to get started on my first quilt! Your blog is very inspirational and easy to follow! I&#39;m new to improv and this book looks fantastic! Another to add to my book wish list! I would love a copy of this book as Improv really lights my mind on fire, but when I <br />Think of starting a new quilt in improv, I freeze up as it seems very intimidating. I&#39;m still so new to<br />Quilting. I love the look of the chevron block too. I agree other methods are a bit wasteful. 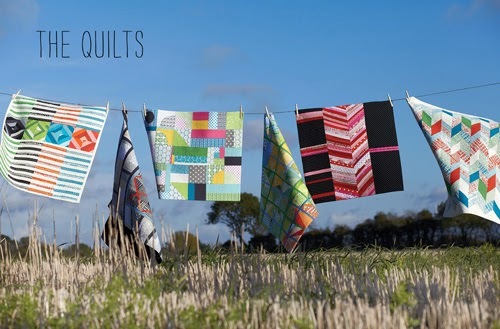 Improv Quilts | Blog Hop with Moda fabric designer Lucie Summers! i’m in the middle of cutting and laying out the Feathers Quilt. However, I find the directions a bit lacking (or maybe it’s my skill level), but it doesn’t say if the pieces laid out for columns 2 and 4 are cut in half as opposed to thirds like columns 1, 3 and 5. I assume you only cut it in half, but would like clarification before making the cut.